I literally live in slides! 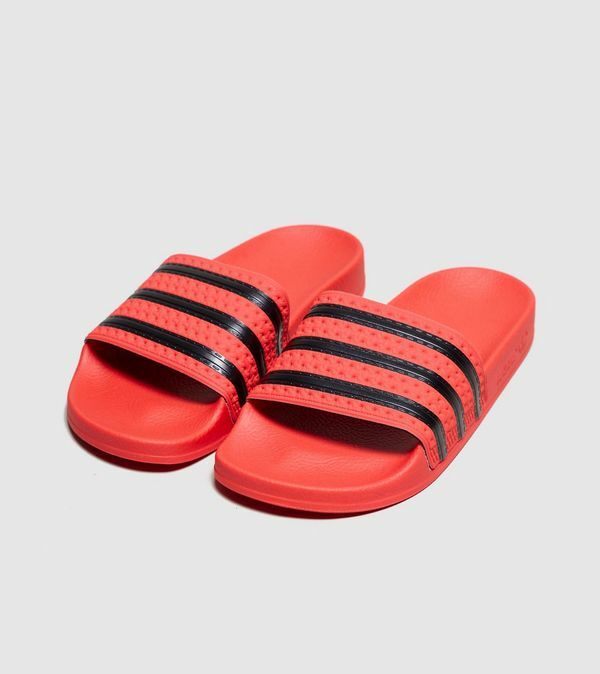 I find them way more comfortable than thong style flip flops. I mean, they’re grand but especially when they’re brand new they can cut you between the toes and I despise that. 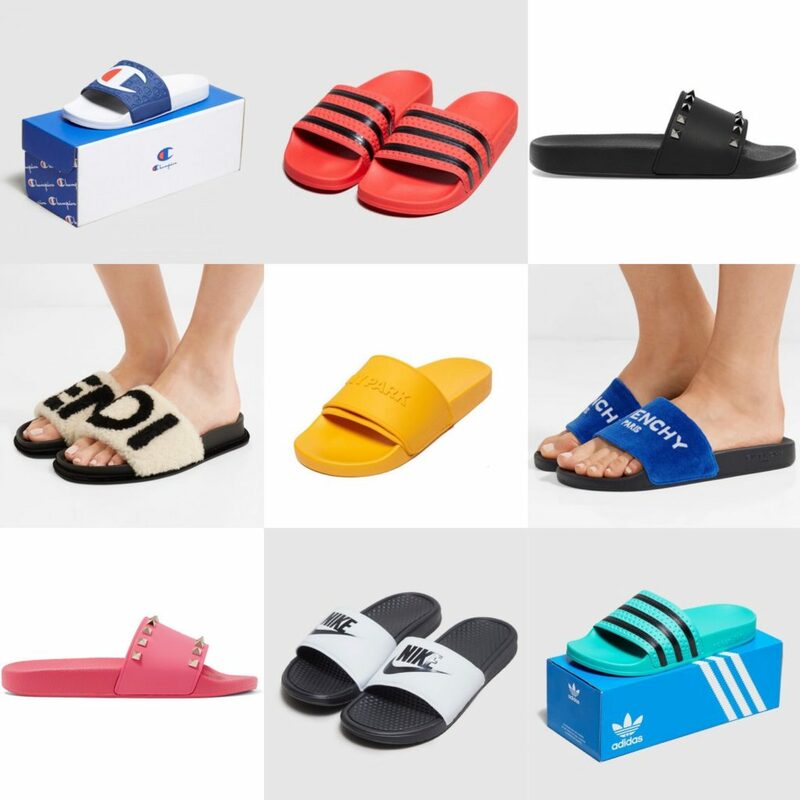 I currently have about 3 pairs of slides on the go – last years red adidas Originals Adilette Slides which I still love, a pair of black Nike Benassi Just Do It Slides which are probably my most comfortable pair and a pair of white and black givenchy slides which, to be honest, are my least comfortable pair. They’re made of rubber and with excessive wear for long periods of time they make my skin blister. Lesson learned, at least I know what styles and materials are most comfortable. 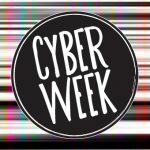 I’m preparing to buy new slides for my summer holidays so I thought I’d put together a list of my top 10 current favourites. 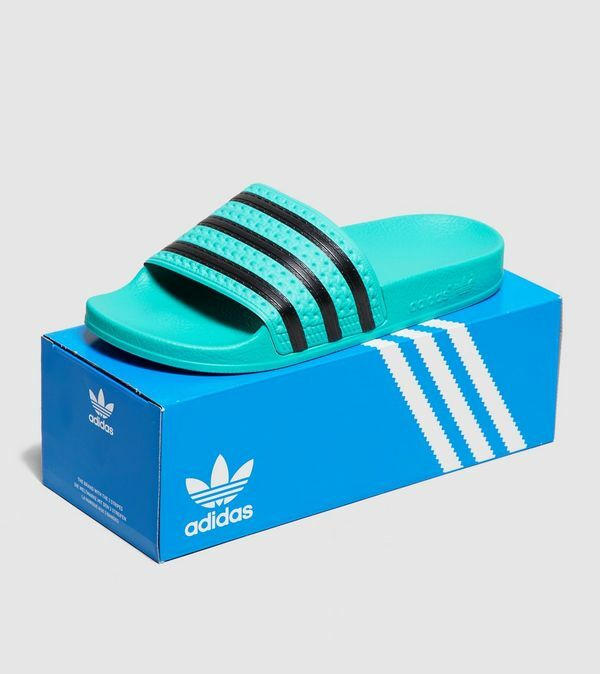 First up I’m obsessed with the new green colourway in the adidas Originals Adilette Slides! I’ve had my eye on these for a while and trust me, they’re even nicer in person! 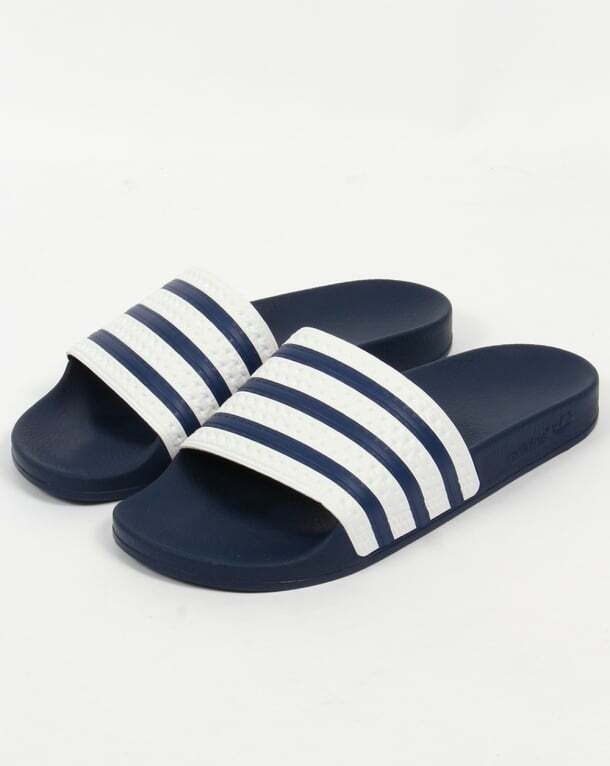 I love these Champion slides (I’ve posted them before) but the only thing that’s putting me off is the white sole. 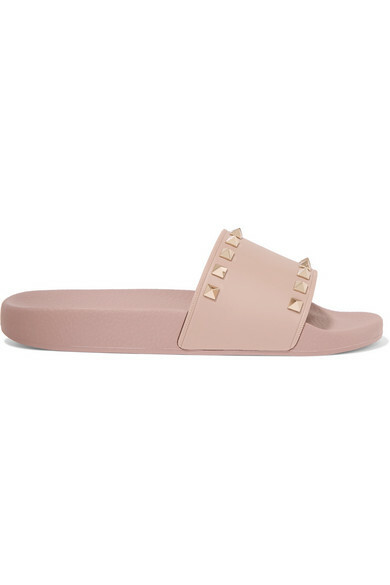 I had a pair of baby pink Fenty Slides before… it was impossible to clean the soles and they looked dirty all the time. 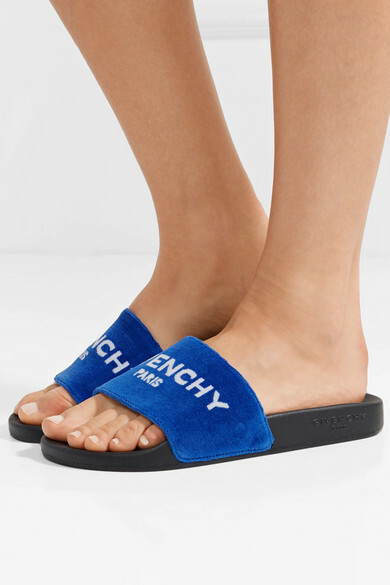 In fairness, the Fenty Slides had a foam sole and as the material is porous, it would have been easier for dirt to absorb into it so I can’t say it would be the case for all pale coloured soles. I am wary though. 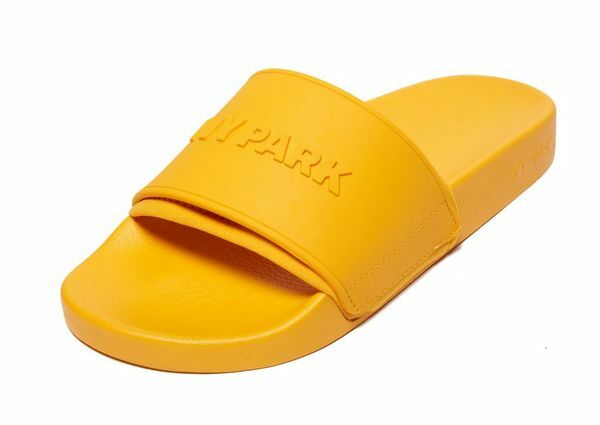 I LOVE these canary yellow Ivy Park Slides! 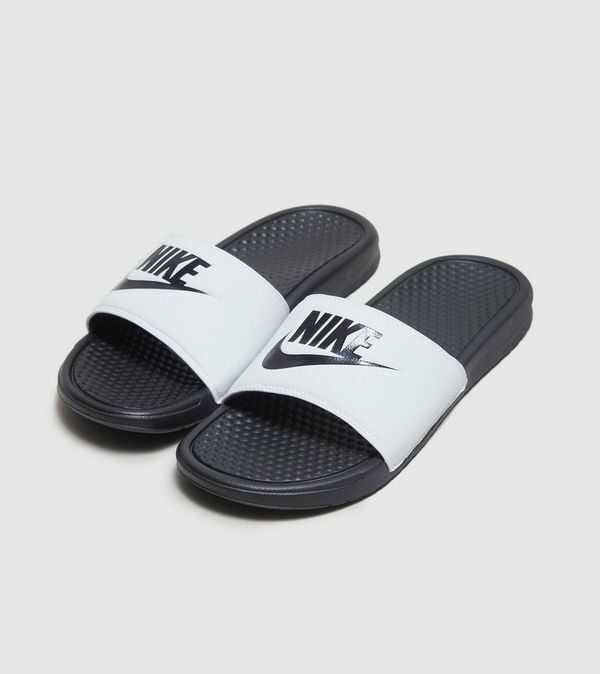 Considering the all-black Nike Benassi Just Do It Slides are my most comfortable pair of slides, I’m also considering getting them in the white and black colourway also. 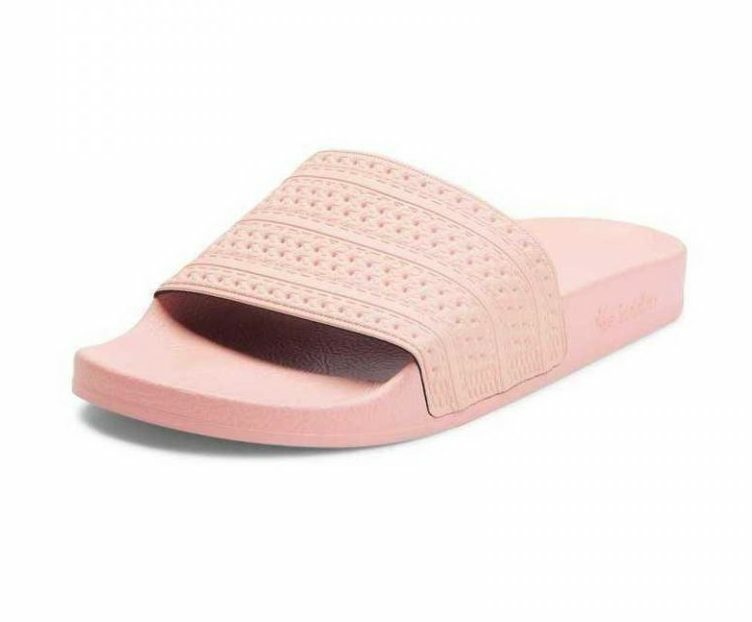 I really like these pale pink adidas Originals Adilette’s too – I think they would look really fresh with denim/white. I also think the white and navy colourway is really fresh too. 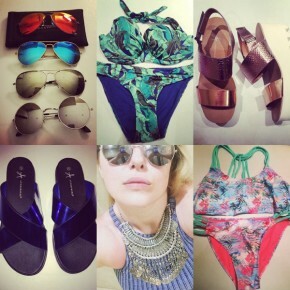 I love a little designer here and there so if I wasn’t on a budget the following would be my top picks. First up I’m LOVING this Givenchy pair. They’re made from soft terry and set on a molded rubber sole. 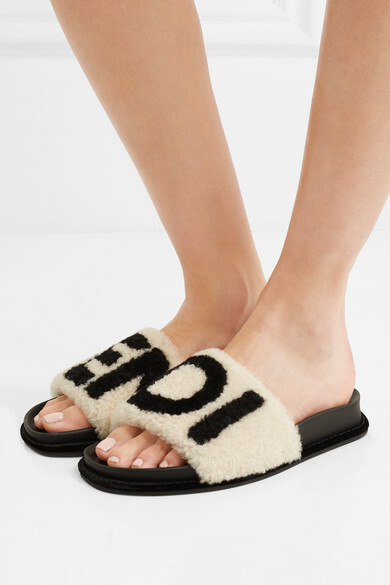 I also think these Fendi Sherling Slides are uber cool albeit definitely out of my price range. 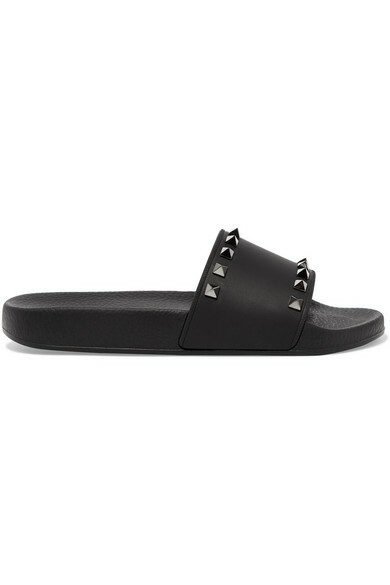 And lastly, who could say no to a pair of Valentino Rockstud Slides? 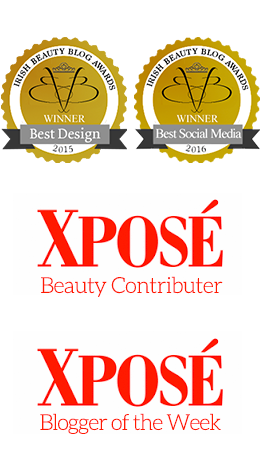 I hope you enjoyed my top 10 slides for summer. I’ll let you know which ones I bagged very soon!